I'm at it again... stealing ideas from the blogosphere, or I guess you could say I'm "participating". That's probably better. Anyway, here's the deal. You've probably seen it on Pinterest, and Facebook, and at least a couple of other blogs! 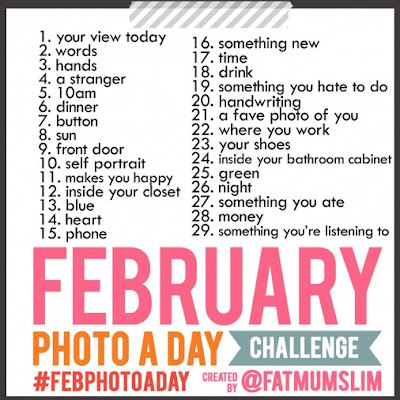 But, I'm excited to partake in the February Photo A Day Challenge. It started on fat mum slim, and I think it's an awesome idea! I love taking photos, sharing photos, looking at other people's photos. Unfortunately, I forgot about this little list until this evening, while I was at work, and I didn't have my camera. Hmm... so today's is kinda lame, but hey, you want real life? Well, that's what you're gonna get! 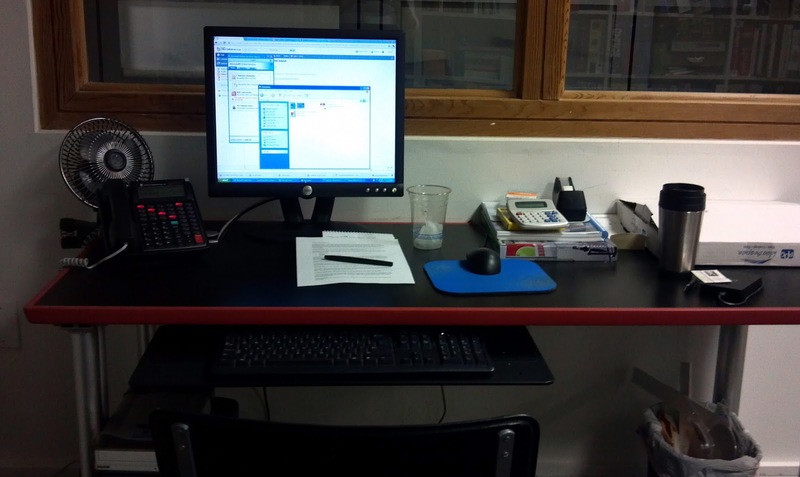 So [my view today] was mostly a computer (that was not my own). See, my team has been preparing for a huge presentation tomorrow, slaving into the late evening hours (not tonight, woop! ), and because we are producing lots of architectural renderings, which has kept our computers quite busy the past few days. One rendering has taken my computer the past 36 hours or so. Meanwhile, I've been using another computer, hence my view. Here you are, a terrible photo from my phone, but at least it's a photo! And hey, it might just get me writing again! Gorgeous, right? I promise I'll try to do better, but don't be surprised if this isn't the only phone photo! Oh, and just so you know how popular this is, I'm the 549th person to join this challenge on Chantelle's blog!